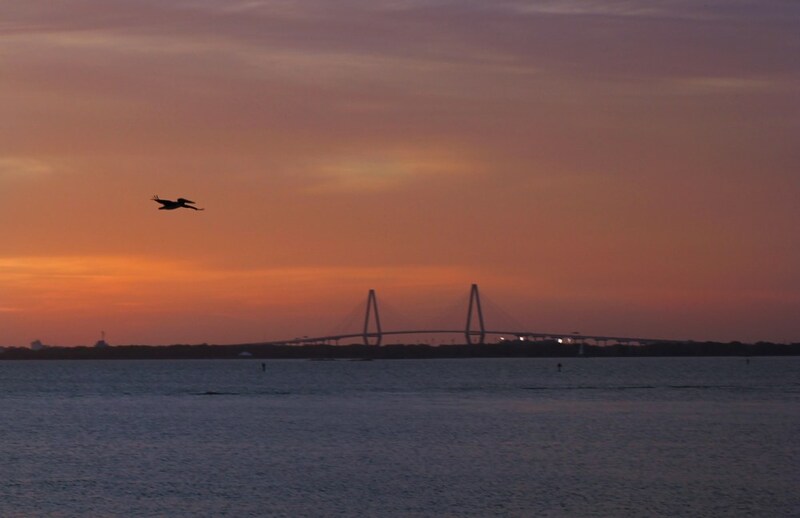 One of the most iconic things about Charleston is the Arthur Ravenel Jr. Bridge which spans the Cooper River. This was not always so. Two beautiful and more antiquated bridges used to stand in its place, John P. Grace Memorial Bridge and Silas N. Pearman Bridge. Many local folks were upset by the change. Tearing down the beautiful truss bridges and building something that appeared so modern to a classic city just didn’t seem right. I used to feel the same, however the old bridges were downright dangerous. There was no emergency lane and the bridges were extremely narrow. Towards the end of their life they could only hold 5-ton vehicles meaning that all buses and trucks had to take another route. Over the years, the Arthur Ravenel Jr. Bridge has grown on me. I would even go as far as to say, it’s beautiful. Not only has it made the commute safer for thousands of people, it has brought a place to exercise, and a place to view our beautiful city from a higher vantage point. Charleston is called the Low Country for a reason—it is flat—very flat. The bridge offers a change in scenery, and new perspective. It is free to park your car and walk our bridge. It is a bit rough the first time you do it, I’m not going to lie, but the view from the top is worth every step. There are benches at the top for you to catch your breath and to take some pictures of our beloved city. If you’re not feeling up to walking the bridge you can take a less strenuous stroll at the Mt. Pleasant Pier. It’s a beautiful and relaxing place that is full of benches, green space, and swings. There is a park there too if you have little ones to entertain. It is also a great place to cast your line if you enjoy fishing. 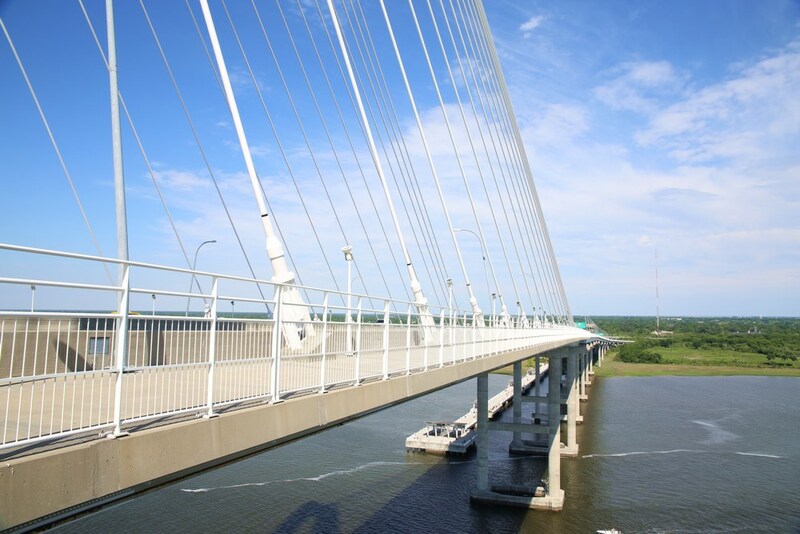 If you are an avid runner you can participate in the Cooper River Bridge Run. It takes place the first weekend of April each year. It is a 10K run/walk and the proceeds go towards public education. There are also optional Charity Bibs for $150 in which you can donate to one of sixteen charities of your choice. Those choices can be found here. 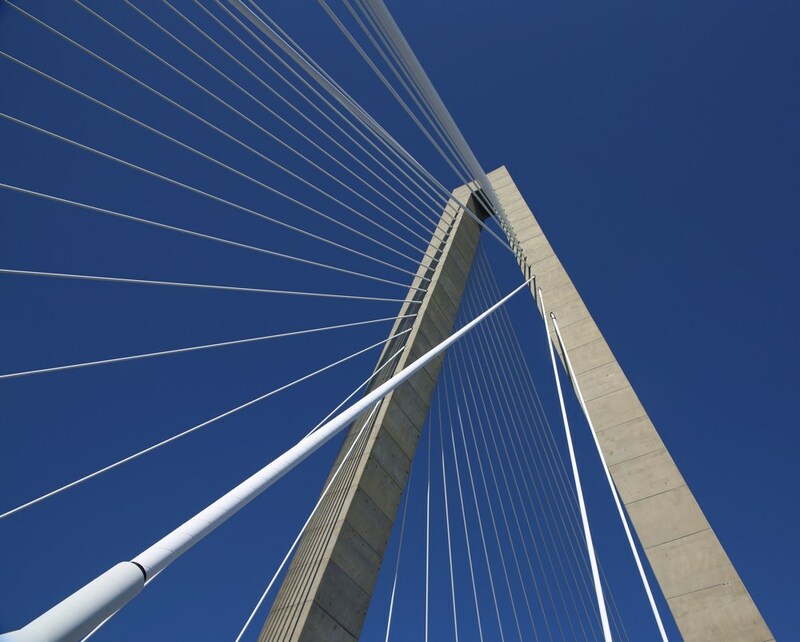 Although the bridge is relatively new, it is a huge part of Charleston already. As time passes, even Charleston can’t avoid change. The old bridges have passed into history and a modern road has appeared in their wake, representing a new Charleston.